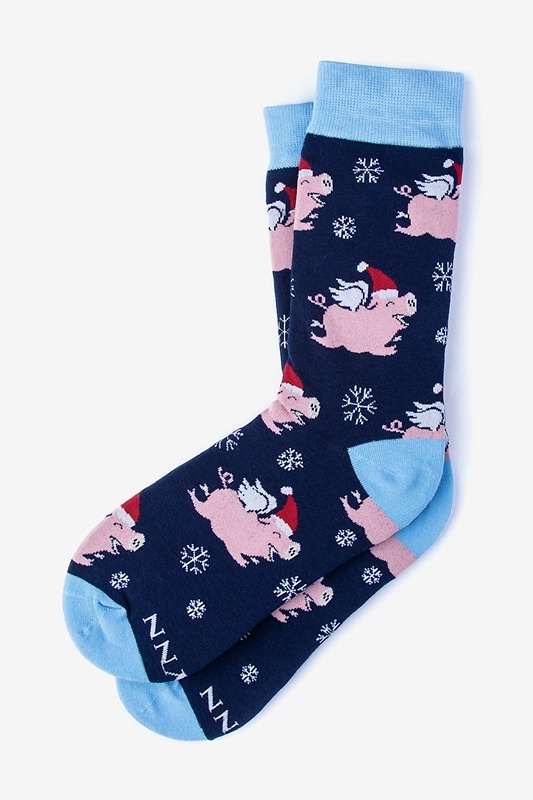 Spread some holiday cheer with our Alynn Pig-Mas Cheer sock. This sock features our iconic Alynn pic flying through a snowy sky. It doesn't quite feel like the holid... read more Spread some holiday cheer with our Alynn Pig-Mas Cheer sock. This sock features our iconic Alynn pic flying through a snowy sky. It doesn't quite feel like the holidays without these festive socks.